Create and design your own drawer organiser layout. Put together different sizes and shapes of these plastic trays to get the best organised drawers and utilise every bit of space. 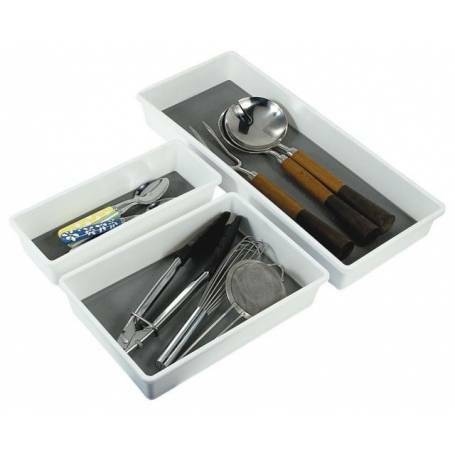 Each tray has a non slip inner and non slip feet on the base. Photo is an example of how trays can be fitted together.